Jam sessions have always provided jazz musicians a way to "cut their teeth" and push each other to play their best. This new monthly music series gives UVU music students and local jazz musicians the chance to create spontaneous performances as only jazz musicians can. 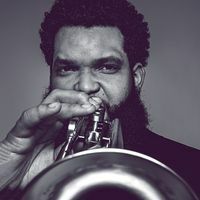 This month's jam features Kris Johnson, a trumpeter from The Count Basie Orchestra with two Grammy nominations under his belt.